The health, fitness and well-being industry has a market capitalization worth billions of dollars. After all, the sector is responsible for the promotion of lifestyles which can enhance an individual’s quality of life by enabling them to take ownership of their physical and mental welfare. While there are a number of factors that are responsible for promoting fitness and well-being, the age old adage of ‘you are what you eat’ is perhaps the most quoted of them all because it highlights the fundamental significance of diet in improving a person’s quality of life. While most of us seldom go over our eating plans unless we have a particular weight goal to reach, the proportion of health-conscious consumers has grown rapidly over the years. Moreover, the influence of nutrition in preventing and combating diseases has long been established in medical literature. The amalgamation of these factors is attributable to the expected growth of 15% in dietitian and nutritionist jobs (United States Department of Labor, 2018) between 2016 and 2026 according to the Bureau of Labor Statistics, which is deemed to be much faster than average. Running a practice single-handedly or in partnership with peers is not a small feat, from managing finances, providing the best client services and exploring viable options for nutritionist liability insurance to staying up to date with the latest research in the arena, the tasks are essentially endless. This is why it is critical to have sufficient knowledge about the jobs, employment and financial prospects that are currently available in the field and how they are expected to transform in coming years. To shed some light on the practical dynamics of this profession, this article presents a comparative overview of a registered dietitian salary and a nutritionist salary based on market trends and industry assessments. There is no doubt that the professional responsibilities and objectives of a dietitian and nutritionist share certain similarities with each other however, many people choose to use these terms interchangeably which is not correct. From the perspective of the U.S, the key difference between the two roles stems from the degree of regulation and restrictions whereby, a dietitian is expected to acquire specific licenses and certifications following the completion of a Bachelor’s degree. On the contrary, many states permit nutritionists to establish their practice without holding any prior professional training. Owing to this difference, nutritionists play a more generalist role in the realm of health and fitness by advising clients on food behaviors and developing general nutrition plans. However, dietitians can only initiate their practice as RDs after completing their internship at a medical facility, Food Company or a related enterprise which allows them to aid patients in the diagnosis of eating disorders and creating meal plans to effectively monitor signs and symptoms related to various diseases. Dietitians ‘salary may vary depending upon the state they are operating in, their experience in the area as well as the type of practice in which they are engaged. As experts in dietetics, dietitians can choose to specialize in the field by serving in healthcare facilities in which case they are known as clinical dietitians, work as community dietitians for public health and wellness agencies, perform their duties as food service dietitians in large-scale food planning facilities or concentrate on fulfilling their duties as gerontological, renal, neonatal or pediatric dietitians. Other types of registered dietitians serve within the domains of research, administration and consultancy. How Much Do Dietitians Make in a Year? As soon as you type ‘registered dietitian nutritionist salary’ in a search engine, you can expect to receive more than 100,000 results to your query which present an assortment of conflicting figures and statistics. The reason behind this is that there is a clear distinction between the average pay scales of a dietitian and nutritionist which is essentially attributable to the scope of professional trainings, internship experiences and licenses that the former has to successfully complete and acquire before embarking on a journey as an expert in this arena. Having stated that, the average earnings of nutritionists may also depend upon the domain in which they are offering their services. For example, while there are certain nutritionists that work in clinical settings, community organizations and governmental agencies also recruit public health nutritionists which have the primary role of spreading awareness and information about the nuances of a healthy diet. Accordingly, there is a demand for nutritionists in the spheres sports and animal nutrition as well, which are specialized fields that have focused objectives and a significant scope for research and exploration. Moreover, nutritional consultants also serve in large scale organizations where they often monitor a team of food service managers to develop plans on healthy dietary intake in addition to establishing weight loss and management regimens. How Much Do Nutritionists Make in a Year? 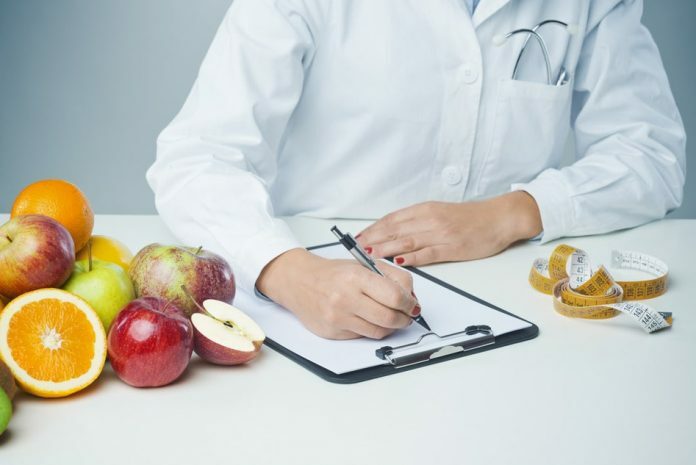 improbability of this profession stems from the nature of the profession itself – it gives clients the complete authority to sue nutritionists and dietitians on grounds of malpractice if they experience any issues with the services provided to them. While this aspect holds true for other professions as well, it is most likely to hit nutritionists and dietitians if the client’s lawyer produces even a single study or research which opposes your dietary plan or advice. To protect yourself from any unforeseen circumstances, it is crucial to have a suitable protection plan in place which is spearheaded by the benefits of professional liability insurance and general liability insurance. As a reflection of good business practice, general liability insurance is often requested as a requirement by customers and suppliers before they establish an association with your practice. It is a foundation of business insurance which is applicable to other professions as it safeguards an entity by covering personal injury claims and medical expenses in case of any injury caused by a workplace accident. Professional liability insurance is a more specialized form of insurance for nutritionists and dietitians which acts as a shield to protect practices from any claims made against them. While all professionals in the field enter it with the noble intention of serving clients in the best way possible, some unintentional mistakes in giving nutritional advice that are beyond their control may still occur. In such circumstances, a well-structured insurance plan can help you protect your hard earned money while retaining the reputation of your practice which takes years to build. After all, doing business the ‘right way’ is the ‘best way’.